Carlson, Kristin, Prophecy Sun, Shannon Cuykendall, Maria Lantin, Thecla Schiphorst, Greg Corness. Beyond the Here and Now: Exploring Threaded Presence in Mediated, Improvised Performance. PRESENCE: Teleoperators and Virtual Environments, 26(2), pp.97-110, 2017. Warburton, Edward C. Margaret Wilson, Molly Lynch and Shannon Cuykendall. The Cognitive Benefits of Movement Reduction Evidence From Dance Marking. Psychological Science 24 no. 9: 1732-1739, 2013. Cuykendall, Shannon and Thecla Schiphorst. “Untying the Knot of Dance Movement Expertise: An Enactive Approach.” Proceedings of A Body of Knowledge Conference-Embodied Cognition and the Arts. CTSA UCI. Retrieved from https://escholarship.org/uc/item/91g306ds, 2018. Cuykendall, Shannon, Prophecy Sun, Reese Muntean, Thecla Schiphorst, Steve DiPaola. “A Framework for Hybrid Multimodal Performances,” in Proceedings of the Conference on Electronic Visualisation and the Arts. British Computer Society, 2017. Cuykendall, Shannon,Steve DiPaola, Reese Muntean, Prophecy Sun. “Fractured Perspectives: Movement and Light” in Proceedings of the Conference on Electronic Visualisation and the Arts. British Computer Society, 2017. Cuykendall, Shannon, and Thecla Schiphorst. “Transmitting and Distributing Bodily Knowledge in the Digital Age.” In Congress on Research in Dance Conference Proceedings, vol. 2016, pp. 94-105. Cambridge University Press, 2016. Wiesner, Susan, Shannon Cuykendall, Ethan Soutar-Rau, Rommie Stalnaker, Thecla Schiphorst, Karen Bradley “Schrifttanz: Written Dance/Movement Poems.” In Digital Humanities 2016: Conference Abstracts. Jagiellonian University & Pedagogical University, Kraków, pp. 402-404 2016. Sun, Prophecy, Shannon Cuykendall, Kristin Carlson, Maria Lantin and Thecla Schiphorst. spaceDisplaced: Investigating Presence Through Mediated Participatory Environments. In Proceedings of the 3rd International Symposium on Movement and Computing (MOCO ’16). Article 24, 6 pages, ACM, 2016. Cuykendall, Shannon, Ethan Soutar-Rau, Thecla Schiphorst, and Steve DiPaola. If Words Could Dance: Moving from Body to Data through Kinesthetic Evaluation. In Proceedings of the 2016 ACM Conference on Designing Interactive Systems, pp. 234-238. ACM, 2016. Cuykendall, Shannon, Ethan Soutar-Rau, and Thecla Schiphorst. POEME: A Poetry Engine Powered by Your Movement. Proceedings of the TEI’16: Tenth International Conference on Tangible, Embedded, and Embodied Interaction. ACM, 2016. Cuykendall, Shannon, Michael Junokas, Mohammad Amanzadeh, David Kim Tcheng, Yawen Wang, Thecla Schiphorst, Guy Garnett and Philippe Pasquier. Hearing Movement: How Taiko Can Inform Automatic Recognition of Expressive Movement Qualities. In Proceedings of the 2nd International Workshop on Movement and Computing (MOCO ’15). ACM New York, NY USA 140-147, 2015. Cuykendall, Shannon, Michael Junokas, Kyungho Lee, Mohammad Amanzadeh, David Kim Tcheng, Yawen Wang, Thecla Schiphorst, Guy Garnett, and Philippe Pasquier. Translating Expression in Taiko Performance. In Proceedings of the 21st International Symposium on Electronic Art (ISEA). Vancouver, British Columbia Canada, 2015. Fdili Alaoui, Sarah, Kristin Carlson, Shannon Cuykendall, Karen Bradley, Karen Studd, and Thecla Schiphorst. How Do Experts Observe Movement. In Proceedings of the 2nd International Workshop on Movement and Computing. ACM. pp. 84-91, 2015. Fdili Alaoui, Sarah, Thecla Schiphorst, Shannon Cuykendall, Kristin Carlson, Karen Studd, and Karen Bradley. Strategies for Embodied Design: The Value and Challenges of Observing Movement. In Proceedings of the 2015 ACM SIGCHI Conference on Creativity and Cognition, ACM pp. 121-130, 2015. Cuykendall, Shannon, Ethan Soutar-Rau, Karen Cochrane, Jacob Freiberg, and Thecla Schiphorst. Simply Spinning: Extending Current Design Frameworks for Kinesthetic Empathy. In Proceedings of the Ninth International Conference on Tangible Embedded and Embodied Interaction, ACM. pp. 305-312, 2015. Cuykendall, Shannon, Thecla Schiphorst, and Jim Bizzocchi. Designing Interaction Categories for Kinesthetic Empathy: A Case Study of Synchronous Objects. In Proceedings of the 2014 International Workshop on Movement and Computing ACM. p. 13, 2014. Kirsh, David, Richard Caballero, Shannon Cuykendall. When Doing the Wrong Thing is Right. Proceedings of the 34th Annual Cognitive Science Society, 2012. Cuykendall, Shannon. 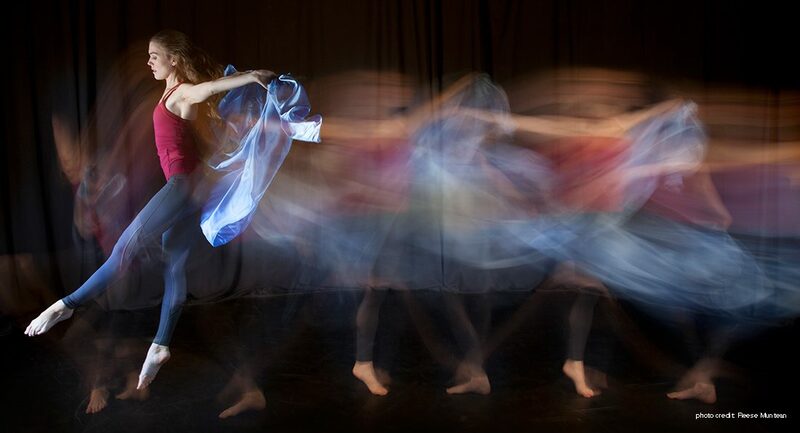 Choreographic Research: Cognitive Neuroscience, Dance and Digital Technology. University of California, Irvine, 2011.